Mesenteric vascular disease is often challenging to diagnose because clinical presentation is often nonspecific. Cross-sectional arterial imaging with computed tomography and magnetic resonance angiography (CTA and MRA) can be used to evaluate both the mesenteric vessels and abdominal viscera in a rapid, noninvasive manner. 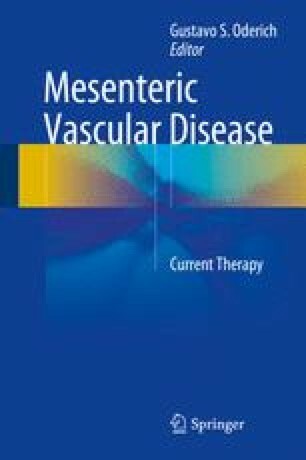 This chapter reviews the basis of imaging with CTA and MRA and their appropriate use in diagnosing mesenteric vascular disorders. Limitations of each modality and considerations prior to choosing an imaging examination are also discussed.